At the time I undertook my Hypoxi program I was 88kg and thought I was relatively fit and healthy. I lost 4kg and 29.5cm over 4 weeks (12 sessions)and was totally blown away by the results. I thought WOW if I could achieve these results why not see if I could assist others along their journey. 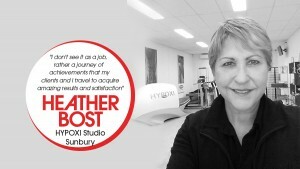 I quit my corporate role, having been in the industry for over 42 years and jumped feet first into opening my studio. I have had so much pleasure in the clients that have walked through my door and have formed some great friendships over the past 12 months. I am now down to 74kg and use the machines weekly to maintain the healthy benefits and circulation that they provide. 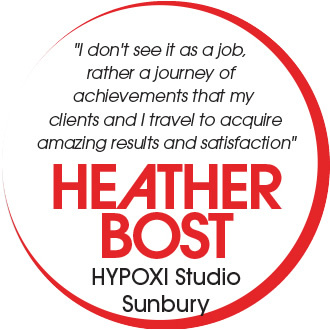 HYPOXI Sunbury offers a Free Consultation including a Free Trial which takes approximately one hour to explain what HYPOXI is and how it works whilst you experience how it feels so you know if it’s for you. No matter how you hear of HYPOXI or who you hear it from, you cannot get the full understanding until you experience it for yourself. HYPOXI targets stubborn fat and cellulite by naturally increasing your blood flow to those stubborn areas that just won’t budge!